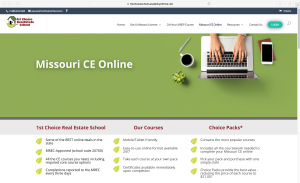 1st Choice Real Estate School is a Missouri-approved real estate education provider, offering online and classroom courses to both real estate brokers and real estate sales professionals. Their courses are written and audited by both seasoned industry licensee professionals as well as by real estate attorneys. Being a broker favorite and an industry leader in real estate courses, they are committed to delivering an overall great online learning experience by ensuring that their students can find and order courses easily while still fitting their courses into their own busy lives. We spoke with the manager of 1st Choice Real Estate School, Karen Baynes, to learn more about 1st Choice’s prior LMS challenges and also about their LMS migration experience. Their fees were raised. Charging on a per-student-per-year basis, their prior LMS provider instituted a pricing system requiring 1st Choice to estimate on an annual basis the number of students they expected to enroll in their courses. They lost money due to their LMS provider’s system errors. Due to an internal glitch caused by updates, hundreds of students were given free access to expired courses. This caused substantial revenue loss for 1st Choice. Their time was being wasted on manual tasks caused by the LMS platform’s limitations. With their old LMS platform not completely meeting the functionality needed to run their courses per their specific requirements, 1st Choice was forced to compensate for this by spending valuable time completing manual tasks to enable the existing LMS platform to work for them within the requirements of their course design. They were being forced to adapt to their LMS, instead of their LMS adapting to their specific needs. 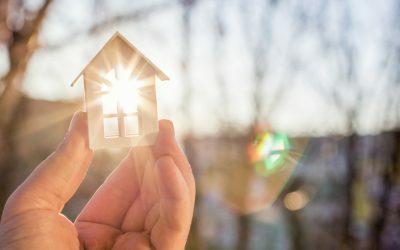 With all of these factors taken into account, 1st Choice Real Estate School made the decision to start searching for an LMS platform that would be able to address these challenges and also provide them with an improved solution custom tailored to their own unique needs. After surveying a number of LMS providers, 1st Choice contacted Academy Of Mine. Working with their Academy Of Mine Product Manager and Customer Success Manager, 1st Choice identified challenges they had experienced in their prior LMS and also mapped out their specific pains points and determined the exact specs that needed to be met in order to deliver the ideal LMS solution for their students. Being a small business, the pricing structure of any LMS they used needed to be predictable and fit within their budget. Their LMS solution needed to be student-focused and have an intuitive, user-friendly interface. With all this determined, 1st Choice Real Estate School was given a free trial period to test drive the Academy Of Mine LMS platform to see if it fit their business needs. Money saved. As opposed to the variable pricing they experienced with their prior LMS. 1st Choice was able to cut their LMS costs by over 50% by taking advantage of Academy Of Mine’s inclusive, flat fee pricing which allowed them to incorporate predictable costs into their company’s budget instead of being hit with frustrating unexpected fees. Time and energy saved. With the difficulties faced with their prior LMS, which included many bugs experienced by students in the LMS interface which in turn required manual fixes to be done by the client themselves, 1st Choice’s new LMS with Academy Of Mine provides an optimized and seamless LMS experience for both instructors and students. Flexibility: the LMS adapts to you, you don’t adapt to the LMS. Prior to their Academy Of Mine LMS, 1st Choice’s components and structure of their courses were limited to the predefined capability of the LMS they were utilizing, putting limitations on the courses they were able to offer to their students. Since changing LMS platforms, 1st Choice’s new LMS has been customized to their specific needs and is also adaptable as the needs of their course offerings change and as their business evolves. 1st Choice Real Estate School eLearning platform homepage. We are thrilled that Karen is happy with her LMS migration and that 1st Choice Real Estate School now has its own custom built LMS platform. Have more questions about customizing your own LMS platform? We have helped a variety of clients who needed their LMS custom built to their individual needs. If you have any questions or would like to know your LMS customization options please see our Contact Page or email us at info@academyofmine.com.